Jobs and the skills of the future are changing rapidly. In fact, 79% of jobs in Hong Kong will be transformed in the next three years according to a recent Microsoft report. This mean’s the war for future-ready talent with the right mix of education and adaptability is shrinking and the competition fiercer than ever. In today’s market candidates have the luxury to be extremely selective when it comes to jobs comparing company cultures, benefits and career development. And once star talent is locked down it makes all hiring managers’ jobs so much more difficult both to keep their talent but also to hire from a shallow pool. While company policy, culture, social awareness and work-life balance are increasingly playing majors role in whether or not people accept a job offer. Salary is still the biggest drawcard you have at your disposal. If you have a superstar in your midst don’t lose them to your competitors when its only dollars setting you apart. Check out; Market rates: 2018 salaries by industry and build flexibility into your hiring budget when it comes to attracting ace talent. The reality says McDonald; the best candidates find themselves in one or two situations. They either have multiple job offers they are weighing up or have a job and not actively looking. So you need to be able to offer them something no-one else can or a unique opportunity. This could mean different things to different people; travel, a housing allowance, flexible hours, remote working, longer vacations. Whatever the case may be don’t be afraid to ask candidates what it would take to convince them. You could also follow up with a candidate that rejected your job offer and find out what made another more attractive so as to tweak your strategies and land the best next time. 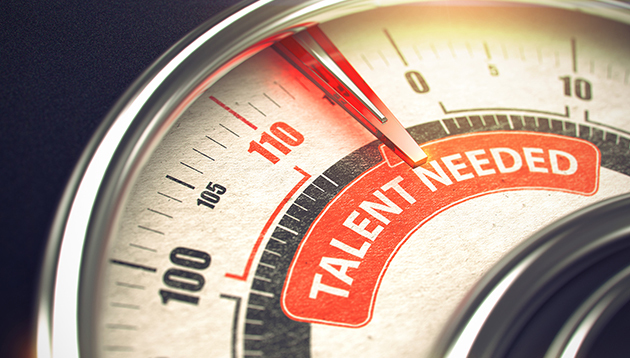 Speed says McDonald is essential to win the talent war. Good candidates just don’t stay available for very long. If your hiring process is taking too long, conduct a review to see where it can be streamlined and don’t wait to find the perfect candidate because the truth is they rarely exist. Keep an open mind when hiring; know what skills are essential and which you can train in-house. But don’t hire just to fill an empty space because the cost of a bad hire is much worse than waiting to find a suitable candidate. Are these your team’s resolutions for 2017? Along with the new Tripartite Alliance for Dispute Management, the ECT will aid more workers and employers in solving salary dispu.. Yet one third of employees who claim to have experienced sexual harassment in Hong Kong have not reported it. ..
Malaysia's EPF further reiterates that the funds - which serve as retirement savings for today's employees - are safe in their han..